Medical administration is a complex field Data Spot-On has managed to master over the years. 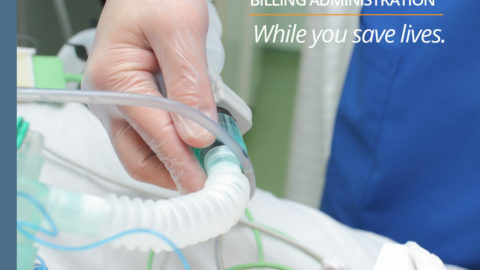 Our founders, Phillip Potgieter and Cobus Hancke, both qualified CA’s with vast experience in medical billing administration, have headed up this medical administration company with exceptional and focused dedication through leading by example. 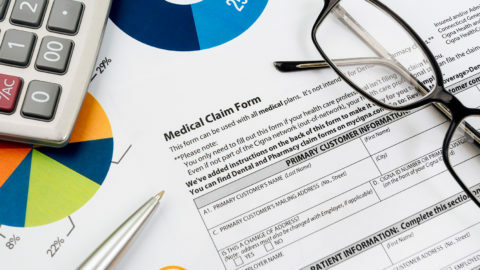 Their extensive medical administration experience proved sustainable and successful in dealing with medical finance and patient administration, so you know that your medical practice administration is in good hands. 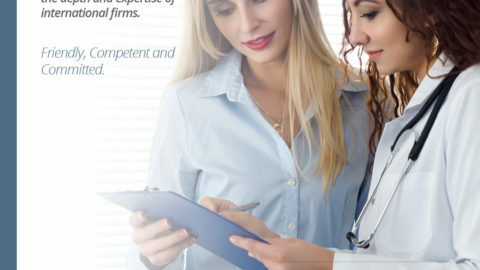 They have dedicated their time and experience in contributing to the development of the complex medical finance industry and assisting in maintaining professional standards. Of course, our partners don’t do this alone. 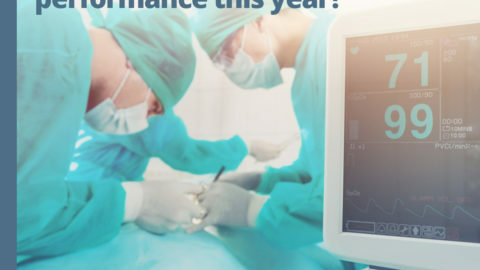 Data Spot-On’s main focus isn’t only on medical finance expertise, but also on service and professionalism. Our staff is a perfect combination of both. 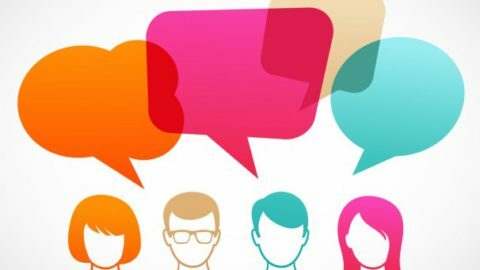 Through the years, we have managed to develop a professional team experienced in delivering on locally based service and attention. The team’s service equal the depth and expertise of international firms. Our friendly, competent and committed team is ready to assist you with the administration and management of your client accounts. 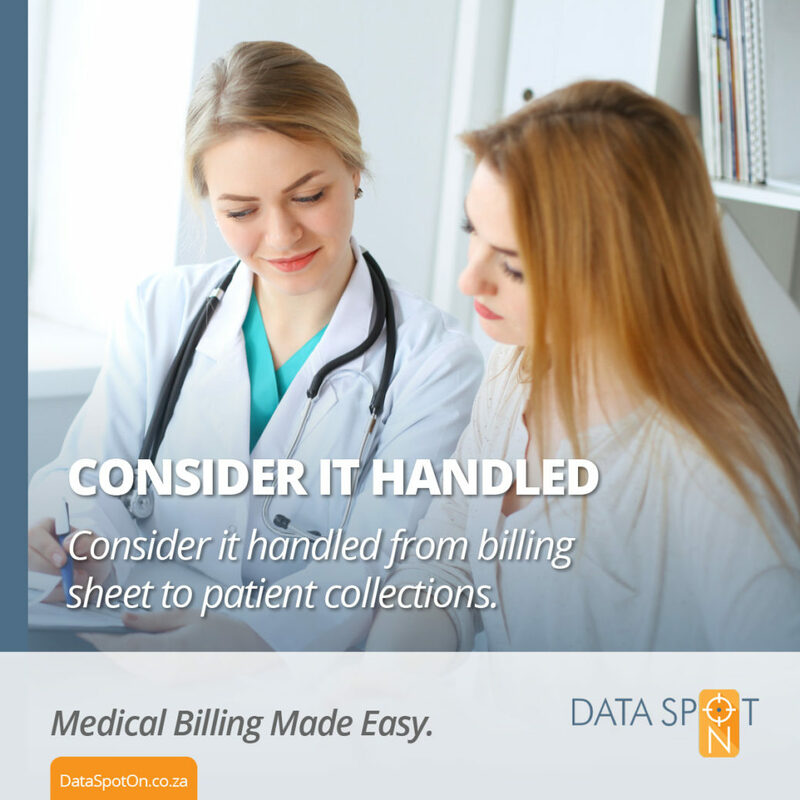 Handing over your medical billing administration to Data Spot-On is the best decision you’ll ever make. We promise to provide you with the best service and efficiency. 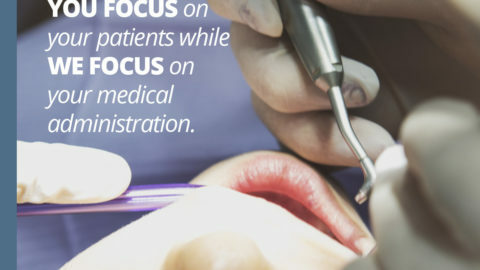 Our aim is to shift the perception medical professionals have of patient accounts. 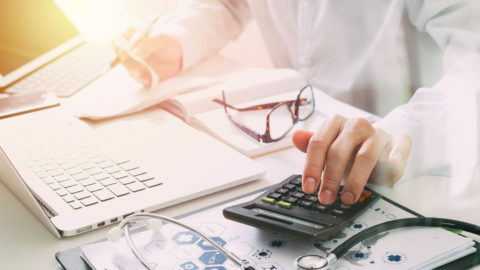 Allow us to make medical billing administration a more pleasant, stress-free and beneficial experience for you through our tried and tested team of excellent professionals.